The best 0 annual percentage rate (APR) business credit cards offer long introductory interest-free periods for purchases and balance transfers. Small businesses can use no-interest credit cards to fund large purchases or free up capital to build their companies. We found 10 cards that offer low fees, top rewards, and interest-free periods of nine months or longer. Citi Simplicity Users who need 21 months to repay their balance transfers. To rank the best 0% interest business credit cards, we focused on business credit cards that offer introductory 0% APR periods of nine months or longer and also included two personal credit cards that might appeal to business owners who can’t immediately qualify for a business credit card. After assessing all of the criteria, we found the best overall no-interest credit card is the American Express Blue BusinessSM Plus. It offers the best combination of introductory and ongoing APRs of any card on our list — 0% APR for 12 months on purchases and balance transfers and an ongoing APR of as low as 15.49%. 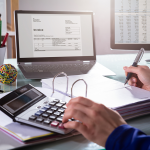 Credit cards that offer nine months or longer of 0% interest are best for businesses looking to fund large purchases or pay down high-interest debt. Find all of the best small business credit cards in our Credit Card Marketplace. The American Express Blue BusinessSM Plus is our top pick because of the combination of a long 0% introductory period and top ongoing APR. Enjoy a 12-month 0% introductory APR period on purchases and balance transfers and an ongoing APR of as low as 15.49%. Among credit cards with 0% interest, Blue BusinessSM Plus offers one of the longest introductory period of any card on our list, behind Citi Simplicity, which offers a 21-month no-interest period on balance transfers. On the low end of the range, its ongoing APR is the lowest among the best 0% credit cards. Cardholders will earn two times the Membership Rewards points on all spending up to $50,000 a year, then one times the points, which means there are no bonus categories to track. This differs from other no-interest credit cards on our list, which may offer larger rewards in certain purchasing categories like office supplies, but typically only 1% or one times the points on everyday spending. Blue BusinessSM Plus offers no sign-up bonus. It one of four no-interest credit cards on our list that come with no introductory rewards, including the American Express SimplyCash® Plus, GM BuyPower Business card, Citi Simplicity, and Chase Slate. Membership Rewards points can be redeemed for airfare or other paid travel through American Express Travel, gift cards, or statement credits against eligible charges. Cardholders also can transfer points to airline and hotel partners. This is one of two cards our list, including the Capital One® Spark® Miles Select for Business, that offers points and miles redeemable for airfare. These benefits are standard, although the length of coverage on purchase protection is more than the 90 days the Capital One® Spark® Miles for Business offers. American Express Blue BusinessSM Plus doesn’t offer introductory rewards, while other cards on our list like the Chase Ink Business CashSM Card offer sign-up bonuses worth as much as $500. You’ll also earn fixed-rate ongoing rewards, which is bad for businesses that spend heavily in certain categories — like airfare or gas — where other cards offer enhanced rewards. Small business owners applaud Blue BusinessSM Plus in online reviews for helping to grow their firms. Users say they value the points-based rewards system and the issuer’s excellent customer service. Apply for the American Express Blue BusinessSM Plus credit card directly on the issuer’s website. If approved, the 12-month introductory APR period starts as soon as you receive your 0% business credit card. 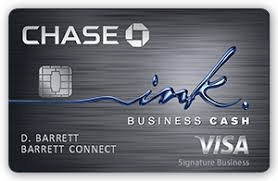 The Chase Ink Business CashSM Card is best for businesses with office supply expenses of up to $25,000 annually. It pays 5% cash back on office supply purchases and offers an outstanding $500 introductory cash reward after you spend $3,000 within the first three months. Foreign transaction fee: 3% on all purchases made outside the U.S. Among the best 0% credit cards, Chase Ink Business CashSM charges a high balance transfer fee. If you have a large balance to transfer, you should consider the American Express Blue BusinessSM Plus credit card, which charges just 3% to transfer a balance. The real appeal of the Chase Ink Business CashSM Card is its cashback rewards program for small businesses. It offers the highest introductory rewards offer among the no-interest cards on our list. Earn $500 cashback after you spend $3,000 on purchases in the first three months from account opening. This is just one other card competes with Chase Ink Business CashSM Card on rewarding office supply purchases. If your business spends more than $25,000 a year on office supplies, you may want to consider the American Express SimplyCash® Plus. This is a similar package of benefits as several other cards on this list offer, although the purchase protection lasts longer than the 90 days offered by the Capital One® Spark® Cash Select for Business. The $25,000 annual cap on the 5% and 2% spending categories may prove to be too small for some business owners. This cap is half of what the American Express SimplyCash® Plus offers on annual office supply purchases. Online reviews of Ink Business Cash are typically very positive. Users say they value the way in which the rewards program offers the highest rewards on the categories in which businesses might spend most. A small percentage of users say the ongoing APR is too high. Apply for the Chase Ink Business CashSM card online. The application process is quick, and you should be able to get approved within 24 hours if not instantly. This 0% business credit card typically arrives in seven to 10 business days. Capital One® Spark® Cash Select for Business is best for businesses that want to earn fixed-rate cashback rewards on all spending. This card offers the highest fixed-rate cashback on our list at 1.5%. The nine-month no-interest introductory period on this card is a bit shorter than other best 0% interest credit cards on our list, including the American Express Blue BusinessSM Plus, which offers a 12-month 0% APR introductory period on purchases and balance transfers. Capital One doesn’t charge a balance transfer fee, unlike the Chase Ink Business CashSM Card, which charges 5% of the transferred balance. However, the Capital One® Spark® Cash Select for Business doesn’t include an introductory APR on balance transfers. You’ll pay the ongoing APR, 15.24% to 23.24%, based on your creditworthiness. The real appeal of the Capital One® Spark® Cash Select for Business is for business owners who don’t have the time or inclination to track rewards categories. You’ll earn 1.5% cashback on all spending and a $200 introductory cash bonus, which is less than the $500 you could earn with Chase Ink Business CashSM. Earn a $200 cash bonus when you spend $3,000 within the first three months from account opening. There is no opportunity to earn bonus rewards of up to 5% on category spending like Chase Ink Business CashSM offers, but that card pays 1% on everyday spending, slightly lower than the 1.5% return the Capital One card offers on all spending. Notice that the length of purchase protection coverage is shorter at 90 days with Capital One than it is with other issuers like Chase, which offers protection for 120 on its business cards. The biggest drawback for the Capital One® Spark® Cash Select for Business card is that there are no-interest-free balance transfers. If you have a balance on another card that’s accruing interest, you’ll be better off choosing the American Express Blue BusinessSM Plus, which offers no-interest balance transfers for 12 months. Capital One® Spark® Cash Select for Business generally receives solid online reviews. Users love the introductory interest-free period as well as the simple rewards program structure. At least one user complained that Capital One reports the account holder’s activity to consumer credit bureaus, which not all business card issuers do. Apply for the Capital One® Spark® Cash Select for Business card on the Capital One website. This card is one of the easiest 0% business credit cards to apply for and one of the quickest to qualify, as applications are approved within minutes. The Bank of America® Business Advantage Cash Rewards Mastercard is best for business owners who want excellent ongoing APRs. This card charges an APR as low as 14.49%, which is about a percentage point lower than the American Express Blue BusinessSM Plus. This card offers no introductory offer on balance transfers and — unlike the Capital One card — charges a balance transfer fee. Pick another no-interest credit card from our list if you need to transfer balances. You’ll need to make just $3000 in spending during the first 90 days after you open your account to qualify for the introductory $300 statement credit. That’s the lowest spending threshold among cards that offer introductory rewards on our list. Earn a $300 statement credit when you make at least $3000 in net purchases within 90 days of your account opening. Chase Ink Business CashSM offers the best introductory offer, $500 after you spend $3,000 within the first three months of account opening. This card offers unique bonus value for businesses that have a Bank of America checking or savings account. Enroll in the Business Advantage Relationship Rewards program to receive an additional 25% to 75% rewards bonus on every purchase. These tiered-relationship bonuses begin when you have at least $20,000 in assets with the bank. Only the Bank of America® Business Advantage Travel Rewards World Mastercard offers a relationship bonus. This card doesn’t come with nearly as many perks as other cards on our list, so keep that in mind when deciding which no-interest credit card to apply for. You will receive up to $100,000 in travel accident insurance, which covers you in case of loss of life or dismemberment. Cards like the Chase Ink Business CashSM Card offer additional benefits like purchase protection and car rental insurance. You’ll find a better rewards rate on office supply spending with other business cards like the American Express SimplyCash® Plus (5%), and the introductory bonus is the lowest among the cards on our list that offer a welcome bonus. Online reviews are generally favorable for this card, both for its rewards structure and its lack of an annual fee. The biggest drawback, users say, is the bank’s customer service, which makes it difficult to resolve errors and respond to fraud complaints. Apply for the Bank of America® Business Advantage Cash Rewards Mastercard online directly with Bank of America. The application takes five to 10 minutes to complete, and you should get a response quickly. New cards are typically received within two weeks. Capital One® Spark®Miles Select for Business is best for companies that want a 0% APR period and want to earn miles rather than cashback. It pays 1.5 times the miles per dollar spent, the miles equivalent to the 1.5% cashback offered by the Capital One® Spark® Cash Select for Business. The introductory APR period of nine months is less than the 12 months offered by the American Express Blue BusinessSM Plus. If your travel frequently takes you abroad, this might be a better pick than, say, the American Express Blue BusinessSM Plus, which charges a 2.7% foreign transaction fee. That can add up when you’re making hotel and dining purchases while on business travel. The real appeal of the Capital One® Spark® Miles Select for Business is for business owners who don’t have the time or inclination to track rewards categories. You’ll earn 1.5 times miles on all spending and a 20,000-mile introductory bonus (worth $200 in travel), which is less than the $500 you could earn with Chase Ink Business CashSM. Earn a 20,000-mile bonus when you spend $3,000 within the first three months from account opening. There’s no real rewards advantage to using this card over the other Capital One card on our list, as the redemption rate is identical — each mile is worth one cent. However, you may find it more convenient to purchase travel directly with the issuer. No other card on our list offers that feature. Notice that the length of purchase protection coverage is shorter at 90 days with Capital One than it is with other cards like the Chase Ink Business CashSM Card, which offers purchase protection for up to 120 days. Capital One® Spark® Miles Select for Business offers a shorter 0% APR introductory period on purchases than most other cards on this list, including the Chase Ink Business CashSM Card (12 months). It also does not offer an interest-free period on balance transfers like the 12 months you’d receive with the American Express Blue BusinessSM Plus card. Capital One® Spark® Miles Select for Business receives numerous positive online reviews. Users appreciate the simple rewards program structure and the ability to use miles to pay for airfare. Cardholders unhappy with the card are disappointed that Capital One reports the primary cardholder’s account activity to consumer credit bureaus, which not all business card issuers do. 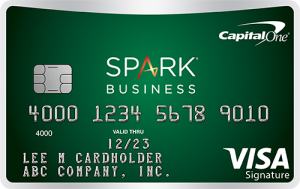 Apply for the Capital One® Spark® Miles Select for Business card directly with Capital One on its website. It’s possible to get approved within minutes, and the issuer will deliver the 0% business credit card by mail within seven to 10 business days. The American Express SimplyCash® Plus is best for companies with varying spending needs that want to pick which bonus spending category earns top rewards. The card pays 3% on up to $50,000 in annual spending, and then 1%, from one of eight categories from which you can pick. It also offers an ongoing APR as low as 14.49%, a percentage point lower than what the American Express Blue BusinessSM Plus offers. American Express SimplyCash® Plus doesn’t allow balance transfers. If you need to transfer debt from a high-interest credit card, look to a card like the American Express Blue BusinessSM Plus, which offers 0% APR on balance transfers for 12 months. The 2.7% foreign transaction fee is high compared to the Capital One® Spark® Miles Select for Business, which charges none. Ongoing rewards on the American Express SimplyCash® Plus are generous, particularly when it comes to office supply spending. You’ll earn the same 5% cash back at U.S. office supply stores with this card as you would with Chase Ink Business CashSM, but the $50,000 spending cap is twice as much as the Chase card allows. This is the only card on our list of the best 0% credit cards that offer bonus rewards on Internet advertising, which could come in handy for firms that use Facebook or Google ads to support their business. This card offers no introductory rewards, so you’ll have no opportunity to earn a sign-up bonus. Many other small business credit cards offer introductory rewards. And you’ll want to avoid this card when traveling overseas, not only because you’ll pay foreign transaction fees, but because American Express isn’t as widely accepted as Visa or Mastercard. American Express SimplyCash® Plus receives above-average online reviews. Users love the rewards for office supplies and telecommunications services. Others say better rewards on gas can be found elsewhere. Apply for the American Express SimplyCash® Plus card online directly through the American Express website. 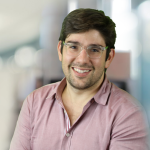 It’s one of the harder 0% business credit cards to apply for because of the issuer’s credit standards, but it is rated as one of the best business cards for startup businesses. The Bank of America® Business Advantage Travel Rewards World Mastercard is best for businesses that travel internationally. It pays three times the points per dollar spent on travel purchases and charges no foreign transaction fees. It’s ongoing APR as low as 13.49% is the lowest among the credit cards on our list. Like the other Bank of America card on our list, the Bank of America® Business Advantage Travel Rewards World Mastercard offers an excellent ongoing APR as low as 13.49%. This is also one of the few cards that don’t charge a foreign transaction fee on purchases made outside the U.S., including the Capital One® Spark® Cash Select for Business and the Capital One® Spark® Miles for Business. This card pays an excellent 3x points on travel — the highest among any card on our list — and 1.5 points on all other spending, which is the same as what the Capital One® Spark® Miles Select for Business offers. Earn 25,000 bonus points after making at least $1,000 in purchases within the first 60 days of account opening. Redeem bonus points for a $250 statement credit toward travel purchases. That’s less than the $500 cashback the Chase Ink Business CashSM Card offers when you spend $3,000 within the first three months. Earn unlimited 1.5 points for every $1 you spend on all purchases, everywhere, every time — no matter how much you spend. When you enroll in the Business Advantage Relationship Rewards program, you can get an additional 25% to 75% rewards bonus on every purchase you make. That means you can earn up to an unlimited 2.62 points on all purchases. However, to earn that rate, you have to have at least $100,000 in assets with the bank. Only the Bank of America® Business Advantage Cash Rewards Mastercard offers a similar relationship bonus. Points earned with the Bank of America® Business Advantage Travel Rewards World Mastercard don’t expire, but can only be redeemed for statement credits against travel expenses booked through the Bank of America Travel Center. The Capital One® Spark® Miles for Business allows you to redeem miles for travel purchased directly from carriers or on discount travel sites. We couldn’t find any online user reviews for this card. Bank of America, like most large banks, receives mixed reviews itself for customer service and its rewards programs. Apply for the Bank of America® Business Advantage Travel Rewards World Mastercard directly with Bank of America. It’s one of the easier 0% business credit cards to apply for and is an ideal card for business owners who travel frequently for business. The GM BuyPower Business card is best for businesses that use GM fleet vehicles. It offers a 12-month, interest-free introductory period on purchases, but not balance transfers. Its ongoing 19.24% APR is higher than the possible 15.49% APR on the American Express Blue BusinessSM Plus. This card doesn’t offer an introductory APR on balance transfers, like the American Express Blue BusinessSM Plus, which means this isn’t a good choice if you have high-interest debt to transfer. The rewards are structured nicely to benefit businesses with several GM vehicles. You’ll earn 5% on purchases of GM parts and accessories and 3% at gas stations. GM BuyPower Business offers no sign-up bonus. It is one of just three no-interest credit cards on our list that come with no introductory rewards, including the American Express Blue BusinessSM Plus, Citi Simplicity and Chase Slate. 5% on purchases of GM parts, accessories and service at authorized GM dealers. 3% on purchases at gas stations, restaurants, and office supply stores. The rewards program is unique among the best 0% APR cards on our list, but if you aren’t in the market for a new GM vehicle, steer clear. Instead, choose a card that pays two times the points on all spending, the American Express Blue BusinessSM Plus. Compare this Chase Ink Business CashSM Card, which offers auto rental insurance, purchase protection, and extended warranty protection. Rewards for the GM BuyPower Business card are centered around new purchases and leases of GM vehicles. If you don’t plan to use GM vehicles or need vehicles for business travel, this is a bad card for you. Instead, choose a card like the Capital One® Spark® Cash Select for Business, which offers 1.5% fixed-rate cashback rewards on all spending. This card receives mixed online reviews. The biggest complaint centers around the APR, which is not offered in a range based on your creditworthiness. Business owners can find ongoing APRs as low as 15.49% with the American Express Blue BusinessSM Plus. Apply for the GM BuyPower Business card online using the BuyPower portal. The application process is quick, and you should be able to get approved within 24 hours. The 0% business credit card typically arrives in seven to 10 business days. Citi Simplicity is best for small businesses that want 21 months to pay off balance transfers. That’s the longest introductory period on balance transfers among credit cards with 0 interest. If you’re just starting your business or can’t qualify for a 0% interest business credit card, use a personal credit card to pay business expenses. It offers an ongoing APR as low as 15.99%. If you know it’s going to take you a long time to pay off a previous card’s balance, there is no better choice than Citi Simplicity because it gives you 21 months to pay off balance transfers, the longest on our list. However, you’ll pay a hefty balance transfer fee of 5%. The best no-interest credit cards charge 3% or less. You must complete your transfer within four months of account opening. You’ll also never be charged a late fee when you pay late, nor is there a penalty rate. Unlike most of the other cards on our list, Citi Simplicity offers neither introductory or ongoing rewards. If paying off an existing balance is your most important goal, rewards should not be a priority anyway. Citi Simplicity does not offer any of the travel or purchase protections seen on many of the other credit cards on our list of the best 0% APR business credit cards. However, it does come with two benefits that users in debt might find worthwhile: you’ll never pay a late fee, and your APR will never be assessed a penalty rate for being late. Chase Slate is the only other card on our list that won’t assess a penalty rate for late payments. Citi Simplicity is not a business credit card, which means it can’t help you build business credit. You’ll also receive no rewards, which means this card essentially loses all value after the introductory period ends. This card is given average marks in online reviews. Users complained about poor customer service and low credit lines. Others said they valued the balance transfer offer, which allowed them to get out from under APRs of more than 20%. Apply for Citi Simplicity online directly on Citi’s website. It’s one of the easier 0% credit cards to get and is a great way to cover operating capital expenses for your business until you can get a dedicated business credit card. Chase Slate is best for small businesses that want to transfer a high-interest credit card balance without paying a balance transfer fee. It’s the only card on our list that offers free balance transfers within 60 days of account opening. It’s ongoing APR of as little as 16.99% is higher than other cards on our list offer, like the American Express Blue BusinessSM Plus, which charges an APR as low as 15.49%. Balance transfer fee: None on transfers made within 60 days of account opening. After that, either $5 or 5% of the amount of each transfer, whichever is greater. This may be the cheapest card for balance transfers when you factor in transfer fees. Pay no fee when you transfer a balance with 60 days of account opening. Compare that with the American Express Blue BusinessSM Plus, which charges 3%. Pay your balance in full by the end of the introductory period, though, because the ongoing APR is higher than what other cards charge. The Bank of America® Business Advantage Cash Rewards Mastercard offers an ongoing APR as low as 14.49%. Chase Slate, along with Citi Simplicity, is one of just two cards on our list that offers no introductory or ongoing rewards. We ranked other cards higher on our list because they offer introductory rewards as high as $500 and ongoing rewards of up to 5%. The purchase protection coverage is similar to what the Chase Ink Business CashSM offers and better than the 90-day protection offered by the Capital One® Spark® Cash Select for Business. This card offers no introductory or ongoing rewards. Citi Simplicity is the only other card on our list that doesn’t offer rewards. This is a card with a singular purpose: To get you out of debt as cheaply as possible. It charges no interest on balance transfers for 15 months and no balance transfer fee on transfers made within 60 days of account opening. Chase Slate earns average online reviews among users. Some users complain about getting rejected for the card despite having an above average credit score. Others say the APR is too high, particularly for someone with a prime credit rating. Apply for Chase Slate online at the issuer’s website. You may learn of your approval instantly and receive your card in the mail within seven to 10 business days. 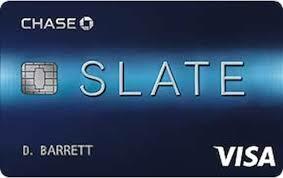 Note: The information related to the Chase Slate Credit Card has been collected by fitsmallbusiness.com and has not been reviewed or provided by the issuer of this card. A 0% business credit card is a great option for business owners who need to float working capital expenses for nine to 21 months. You can find some of these top cards in the Fit Small Business Credit Card Marketplace. Remember, some of the best small business credit cards on this list also offer cashback or rewards points. We find the American Express Blue BusinessSM Plus card offers the most value because it combines a lengthy introductory period with solid ongoing APR and a nice rewards program.